While overtime the Telecom industry has evolved into what is now known as Unified Communications, the industry itself hasn’t shrunk at all – in fact it still continues to expand even in 2017. And that’s a good thing, as the Telecomm industry has always been a massive employer, reaching all different sectors of business and technology. Just like a business searching for the right solution, prospective employees have an overwhelming number of available companies to choose from. And just like we help make sense of service providers, Glassdoor is just one popular resource that helps those searching for employment make sense of potential employers. Glassdoor is a great resources because of not only the wealth of in formation, but also how the platform operates – allowing users to anonymously review their experience at a company. With a wide range of factors including satisfaction rating, CEO approval, and even how likely someone is to recommend working at that company to a friend, it’s easy to see why Glassdoor is such a go-to. So with that in mind, we decided to put together a follow-up of our older lists. 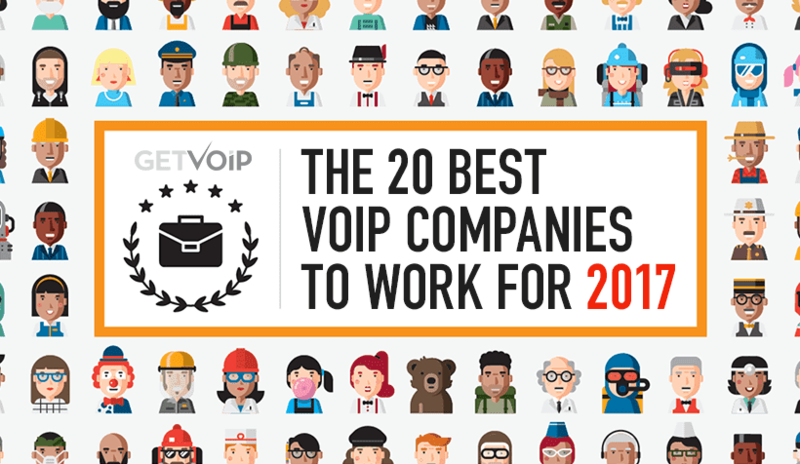 This time we wanted to take a very close look at the best Telecomm and Unified Communications companies, and put together not our take, but the voices of the employees themselves to determine the top 20 Unified Communications companies to work for. An exciting environment poised for huge growth. Dialpad certainly has an interesting beginning that didn't start in VoIP or UC. Growing from the humble start of Firespotter Labs, launching a product accelerator and later the novelty app Jotly which landed on the front page of The Wall Street Journal. In May of 2012, the company introduced UberConference, a web conferencing solution, which eventually grew into the Dialpad we know today in 2017. 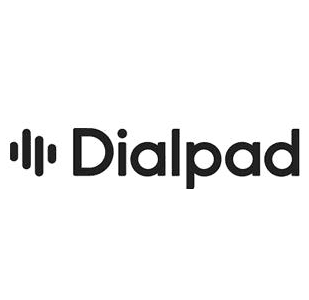 Dialpad likes to think of work as a thing you do, not a place you go. Employees enjoy an open office headquarters in San Francisco, full of excitement and innovation, according to Dialpad. According to employees themselves, they're not far off. With common praise of a fun environment, growth potential, great leadership and overall wonderful people shared on Glassdoor. Current employees also enjoy how their ideas are taken seriously, how teams work closely together and the flexibility that can be provided. A focus on opportunity and growth, employee driven. With a large focus on Entrepreneurs as their main demographic for adopters, it makes sense that Grasshopper also promotes a very employee driven culture, according to their current employee reviews. 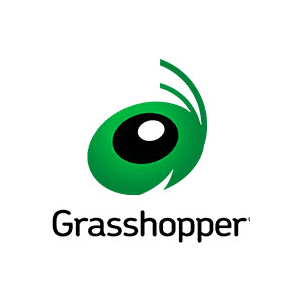 In fact, Grasshopper itself was founded by two entrepreneurs in 2003, and has grown to serve over 250,000 users since. Based in Needham, MA, employees also enjoy the great opportunities provided by a management to both grow in individual roles, and expand into new areas. Many employees write about how the company empowers their opportunity to learn more from both great mentors and the encouraging teams. Being a small team, many at Grasshopper enjoyed the ability to spread their interests into different facets they normally would not have had the chance to explore. Team members also say they enjoy a great work and life balance, along with generous management aiming to please and reward. A fast moving and competitive industry leader. Based in sunny Arizona, Nextiva was founded in 2006 with the goal of revolutionizing a 100-year old Telecom industry. In their mission of innovation, Nextiva stresses a culture of both professionalism and play - evoking a fun balance between work and play. Nextiva says that this approach even plays a key role in their daily success, and employees certainly seem to agree. Based on their reviews, team members share that there is a solid mix of both work and fun. Employees write that Nextiva is willing to provide them with any tools necessary to be successful in both the company, but also the field in general, and the company aims to make all employees feel valued. Many noted the company changes quickly in response to the rapidly-changing industry, and while most enjoyed the quick pace, it might not be for all. Regardless, employees seem to truly enjoy the passion and playful atmosphere while still maintaining a professional and productive environment. Nextiva also enjoys and promotes the culture of giving back, working with multiple charities throughout each year. An employee driven culture that supports innovation. Twilio is a large name in the communications space, empowering businesses to communicate with their clients and users in totally new ways. They've always been a leader, and after going public last year Twilio hasn't slowed down. 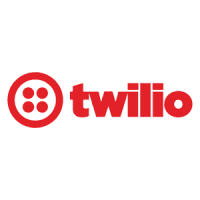 Originally founded by a small group of three, Twilio continues to drive their passion of building products that help empower users, and aims to focus on this passion in their overall culture. Twilio goes as far as to encourage every employee to build their own app or solution using the platform, helping to foster an encouraging, collaborative and innovative environment. Employees also seem to agree, with many praising the management for driving that positive culture home, and always working with a huge level of passion to build the best solution. Team members also write how they enjoy a very supportive and encouraging culture that helps foster growth and innovation - along with transparency from management to keep everyone in the loop. More fun things to work on than there are people. 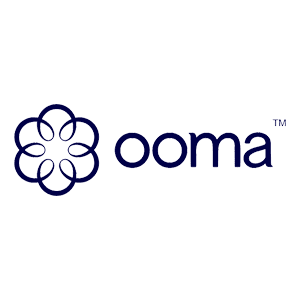 As one of the original revolutionary home VoIP solutions, Ooma has grown since their 2004 founding and has even jumped into the Business market as well. Named one of the fastest growing private company's by the Silicon Valley Business Journal in 2015, and later that year held its IPO in July. The company has grown, and some employees even note Ooma might need to expand its office soon - which should be a good sign! Employees said they enjoy a friendly, relaxing and even encouraging environment - some wrote about a very upbeat and friendly atmosphere - an overall relaxed office without the dreaded politics. But its not just the people that are fun and exciting, as some of the team members wrote they also deeply enjoyed the projects, tackling new challenges when they rose, and the healthy amount of team collaboration fostered by relaxed management. Dynamic company with great incentives and culture. Jive strives to be the absolute best, and that reflects in the company's culture and team. With a focus on the absolute best, Jive explains they 'hire the best people, period.' Jive even goes as far s to offer 'extremely competitive compensation packages, and a way sweet high-tech environment' for their 'bright, motivated teams and coworkers.' 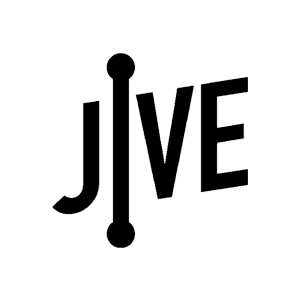 Headquartered in Utah, Jive has been around since 2006 building on their unique Cloud platform. Overall, employees write how much they enjoy the environment and culture that Jive strives to implement, with what are considered absolutely great benefits. Many employees write of the opportunity to attend conferences of their choosing, along with other useful benefits including gym membership reimbursement, and yearly company retreats. Jive looks to incentivize their employees hard work, like offering an Orlando or Hawaii retreat depending on how close they are to hitting company goals. Employee friendly with leadership that strives to care. Included on Glassdoor's 2014 list of Best Places to Work, coming in at number 47 to be exact, it shouldn't be much of a surprise that Bandwidth found their way on to our list as well. 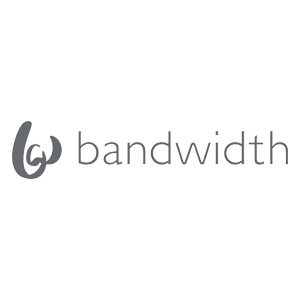 In their own bio, Bandwidth expresses a drive for innovation, a passion for doing things differently and uncovering new opportunities to take a new approach. Bandwidth also promises a healthy work and life balance, and has been featured on media outlets like NBC Nightly News and Forbes for their workplace culture. Bandwidth seems to deliver, and hosts both regular Hackathons and Big Idea days for employees to explore and create. Employees seem to really enjoy the provided benefits, and the opportunity for growth the company provides. Overall, with a positive, relaxed culture and flexible approach, Bandwidth left employees very happy. Freedom to explore different opportunities and work. As one of the veterans in the space, BroadSoft serves 15 of the top 25 largest telecommunications carriers in 71 different countries. They've been around since 1998, and have had the opportunity to see many different trends - both in the industry and workforce - come and go. Employees seem to overall agree that BroadSoft manages to help provide a positive work life balance, with flexibility such as unlimited amount of time for work from home allotted. 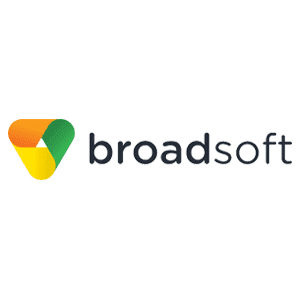 Employees also write that BroadSoft allows for workers to support new ideas, and offers the freedom to have ownership and specific decision making over your direct work. Many that work at BroadSoft also seem to enjoy the very inclusive, friendly and supporting atmosphere, with employees that seem to truly care about one another. Not to mention, on top of it all, Employees boast about some of the best benefits for themselves, and even their families. An innovation powerhouse that's a blast to work for. 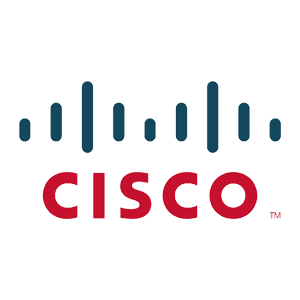 Cisco might be one of the oldest, and most recognizable, names on our list. Founded back in 1984, and headquartered in San Jose, CA, Cisco is home to over 10,000 happy employees. Cisco explains they are focused on the future, both the future of their company but more importantly the future of people - people in and outside of Cisco. And many employees agree, that Cisco is devoted to the people that make everything it does possible. A common theme in reviews state that working at Cisco feels like working with a family, and the company culture does focus heavily on work life balance. But Cisco also provides the opportunity to grow your skills and knowledge to those that seek it, and really does strive to push their learning opportunities. Enthusiasm is so common that it's almost contagious. 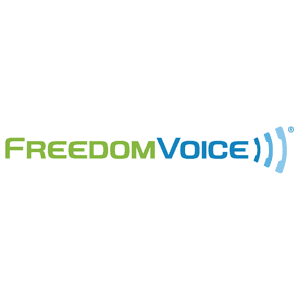 Another veteran on our list, founded in 1996, is FreedomVOICE systems. Located in Encinitas, CA, FreedomVOICE has managed to remain on the smaller side with between 51 to 200 employees after all this time. However, many on the team write that FreedomVOICE is currently experiencing significant growth. Self-described as fast-paced, energetic and fun, FreedomVOICE wants to provide the opportunity to work with 'bright, highly-motivated people in a collaborative work space,' while remaining goal and team driven. Most importantly, FreedomVOICE focuses on honesty and integrity, as well as high standards for work and proactivity. And this translates, according to employees, into teams full of highly enthusiastic workers, with a close knit yet fun environment. Employees also noted the level of respect and care managers express for their teams, for an overall accepting workplace - but one that also strives to challenge and innovate. Overall culture that truly fosters a fun environment. 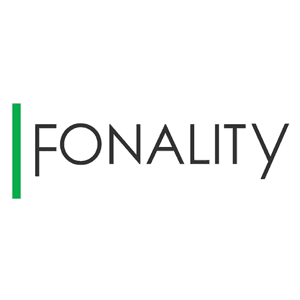 Specifically focused on the needs of the small-to-midsized business market, Fonality drives their innovation through a fast-paced environment, but doesn't forget about technology and employees that make the company possible. Employees write that they enjoy a flexible atmosphere allowing work from home days when necessary, and intelligent co-workers to bounce ideas off of. Employees also write how Fonality works to always provide a comfortable setting with free snacks, common happy hours, and even monthly employee events. Many team members write that they enjoy the freedom to work without constant management over their shoulders. Some also wrote that they specifically enjoy the flexible work conditions between scheduling, and available work from home options. Fonality even goes as far as to employ culture committees to ensure employees stay happy! Fast paced culture leads to a rewarding experience. As the winner of Glassdoor's Best Places to Work from 2014, 2013, 2012 and 2009, and even Highest Rated CEOs in 2013, Citrix certainly has the pedigree of an amazing company to work for. With a 'strong and vibrant culture of more than 9,000 people around the world,' Citrix celebrates the constant innovation their teams are pushing out. 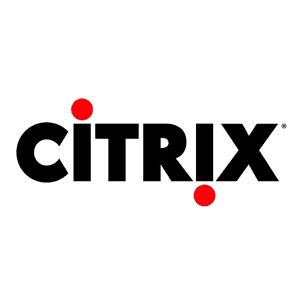 Citrix is also the second oldest on our list, founded in 1989 and still pushing for new ideas. Citrix aims for motivated employees that empower others to work when and where they want. Employees seem to enjoy the environment, citing it as fast paced and challenging, but rewarding. Employees seem to agree that Citrix offers the right opportunity for the very driven and motivated worker, always looking for the next project to pick up. Overall, employees boast about the great team atmosphere, health benefits and the amazing office location in Fort Lauderdale, FL. Challenging the market, with room to grow. Easily the largest and closest competitor to the popular Twilio, Nexmo is growing, and growing quickly. While they might have recently been acquired by Vonage, they are still operating mostly independently and Nexmo employees seem to enjoy the atmosphere brought on by constant growth. With obvious room to grow, Nexmo offers career opportunities in many different directions. 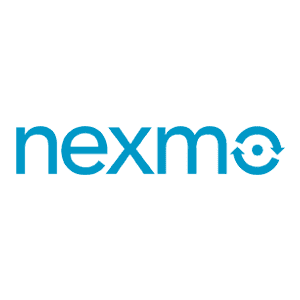 Team members write that Nexmo often presents the chances for those that want to reach to explore projects outside of their initial job description. Many seem to agree that the overall culture at Nexmo is one driven by passion, and those that want to enjoy their work will feel right at home. Plus, for those that like traveling, Nexmo's international presence allows employees the opportunity to travel for different experiences and work opportunities. Opportunity to stand out in a fast growing company. 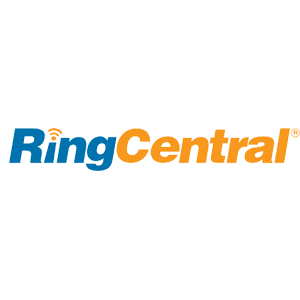 While the Belmont, CA based provider RingCentral is growing, and growing fast, employees still feel the company provides the necessary opportunities for teams and individuals to build and stand out. 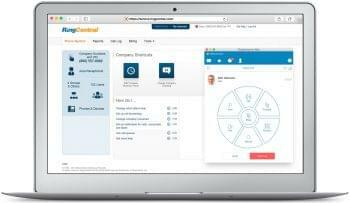 While there are often growing pains associated with expanding, employees note that RingCentral is actively working to adapt the culture, leadership and organization to their new size. Employees also write of a flexible work atmosphere, and a very distinct lack of the dreaded micromanagement many of us have grown to despise. RingCentral also wants to keep its teams comfortable, and team members seemed to a great selection of provided food and snacks. But benefits don't seem to end there, with onsite gyms, transparency and the opportunity to work closely with executives. Employees wrote they enjoyed this Open Door Policy to help foster collaboration, innovation, and acceptance. Many also enjoyed what was described as an aggressive, and competitive, compensation plan. Quality management with a flexible work-life balance. 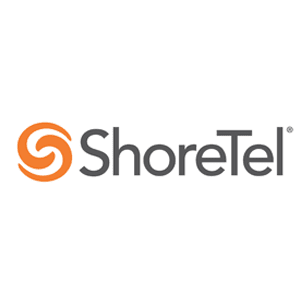 ShoreTel is no new kid on the block either, originally founded in 1996 in Sunnyvale, CA. Without a doubt, ShoreTel seems to attract some of the best talent, and employees feel the culture helps promote that strive for excellence. ShoreTel also employees enjoy a positive work-life balance at the California provider. Many write of an office filled with skilled coworkers, and teams that want to come in and get work done. ShoreTel seems to be about driving innovation and a culture to promote that ,while not forgetting the fun things in life. Employees also enjoy benefits like team parties, fresh fruit provided every morning, health care reimbursement, along with flexible hours. Many enjoy the management team, the opportunity for professional growth, and the comfortable environment. A leading market challenger now expanding globally. Another senior in our list is the well know provider 8x8. Originally founded back in 1987, 8x8 had its fair share of time to watch the dramatic shift in technologies in the market, and hold steady. In fact, 8x8 promotes their company as a 'great mix of growth and stability,' along with a vibrant, friendly corporate culture. To potential job seekers, 8x8 seems to offer the mix of a stable, long lasting company that is also with the times. Which is something employees also seem to agree with, many explaining that 8x8 treats workers well with ambitious and committed management. Employees also write how they enjoy flexible work hours, free meals weekly, and solid benefits. 8x8 is also working into an emerging market, pushing now into the Contact Center industry, providing even more potential growth and opportunity for employees. Passionate teams, and chances to demonstrate ability. Start2Star isn't quite as old as some other great companies to work for, but founded in 2006 they are not much of an infant either. Flat out, Star2Star is looking for the best of the best, with the words 'Rockstars Wanted!!' right on their Glassdoor profile. 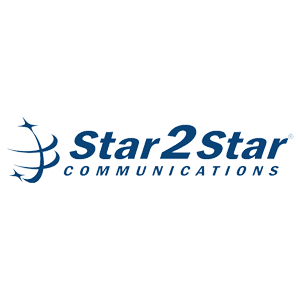 Star2Start looks to reward innovation, and 'fuel passion' to strive for more. With Star in the name, the company hopes for all of their employees to be stars - and aims to treat them like one. Employees write that they enjoy room to demonstrate and grow their abilities, with the freedom to engage any teams they might need to accomplish their goal. This, along with positive and intelligent coworkers, and generous benefits help foster a company culture that treats everyone as a star. Opportunities to learn and grow with independence. Also around since the 90's, 1997 to be exact, Sonus Networks is no stranger to the Telecomm industry. Employees enjoy a positive work-life balance, a trend among our top picks, with a positive working environment that focuses on both learning, but also proven results. 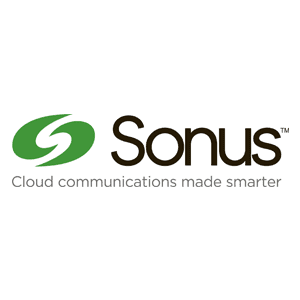 Many employees feel those working at Sonus Networks are all very dedicated to their work, and the task they are assigned to - which helps foster an environment of continuous innovation, striving to improve. Learning opportunities are plenty to help continue this growth and innovation, and employees also enjoy the independence provided. Benefits help to keep employees and their families healthy and happy, as well. Managers are said to be understanding, and take a hands-off approach to let the team do their work the best they can. A beautiful campus full of rewarding opportunities. 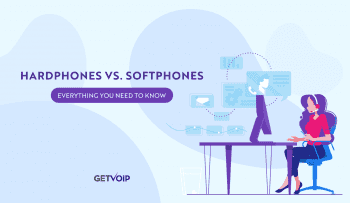 Probably one of the most known house-hold VoIP names, Vonage has been revolutionary in both the home and business VoIP market. Vonage themselves describes the company as 'a destination place to work,' who brings real meaning to the phrase 'work hard, play hard.' 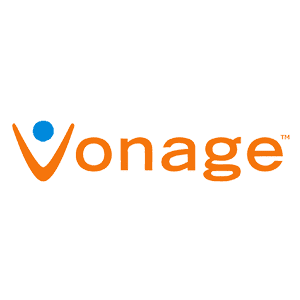 Vonage hopes that their employees will treat the company as their second home. Based on reviews, employees certainly do enjoy working at Vonage, writing that while work is challenging and the end of the day it is extremely rewarding, and that Vonage strives to provide a campus that truly does feel like a home away from home. With volleyball and tennis courts, bike rentals, and competitive benefits Vonage empowers employees to relax in between their hard work. Not to mention, with the size of the company Vonage offers a lot of room for professional growth. Clear market leader with unique global opportunities. 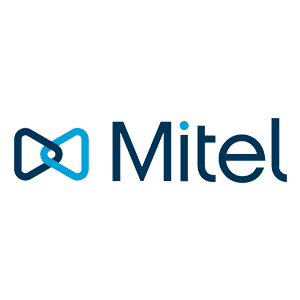 Anyone who knows unified communications will instantly know Mitel, one of the largest global market leaders in enterprise and mobile communications. 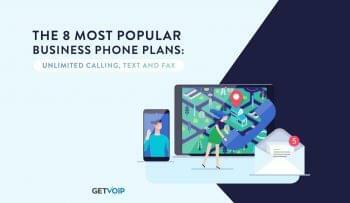 Their network is one to be proud of, powering more than 2 billion business connections everyday. And those that have the opportunity to contribute to the massive Mitel global network often enjoy a strong community, and family feel despite the huge reach. Employees seem to agree how Mitel offers challenging yet very rewarding opportunities to grow, with a team that is closely connected. Based in Ottowa, Canada Mitel also has locations not only around the U.S. but even the globe, offering different opportunities and challenges no matter where you are, or want to be, located. Those that work at Mitel, regardless of where around the world they are located, all seem to agree the overall culture lead to a relaxed environment, but deeply rooted in technologies that naturally call present a challenge with a call for innovation.